In a recent blog, “Disney Theory of Life” (April 14), I referred to David Brooks’ New York Times column about the purpose of life. I offered my own theory, based on the Disney World mantra, “Make People Happy”. A kind word? A helping hand? A smile? 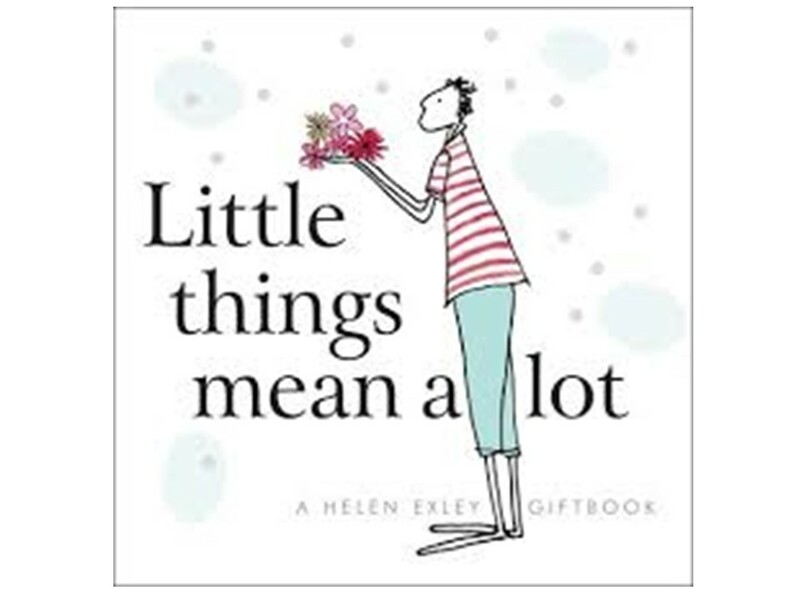 Little things, tiny things. They add up to something really big. They give real meaning to our lives, one day at a time. 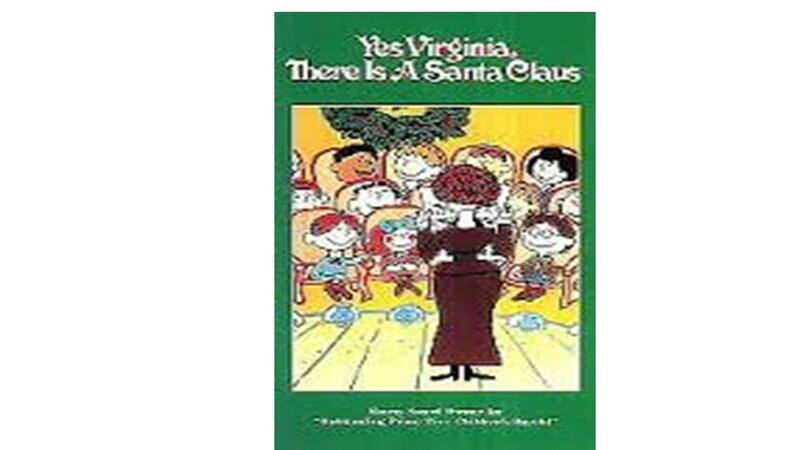 Yes, Virginia, there IS a Santa Claus – and it’s You! “I was a college professor who had to retire at age 45 due to illness. I am now 55 and happy. My best advice to you is to branch away from your comfort zone. 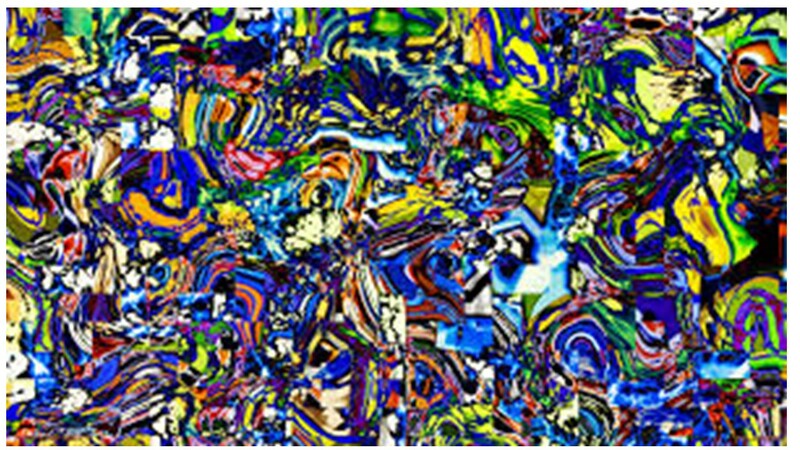 For instance I was a biostatistician (loved it) and am now a digital artist (self taught, http://gosusan.com). I am bringing the two together through infographics”. Thank you “Virginia”. You show us that, Yes, Virginia, there IS a Santa Claus – and it is YOU. You have successfully used Stephen Johnson’s clever method, known as the “adjacent possible”. Change your field. Move far enough away to make it interesting and challenging, but not so far away as to be impractical and impossible. When you do this well and successfully, “Santa” showers the gift of energy and passion on you. The key is to leave your comfort zone. It is super comfortable to remain in that old familiar rut, doing again and again what you always did. Trying new stuff is risky and uncomfortable, because at first you inevitably fail, and many of us are so used to permanent success, we cannot imagine doing anything poorly. Try an imaginary exercise. Lying in bed at night, before you fall asleep – think to yourself, what could I do, that is different, different enough to be just possible (but hard), not so different as to be clearly unfeasible? Dream it. Thomas Friedman’s latest New York Times column helps us understand what is going on in the world. In a word: Chaos. Chaos is the new world order. Here is what he means. Quoting a high-tech executive, Tom Goodwin, Friedman notes: Uber is the world’s biggest taxi company but has no taxis. Facebook is the world’s most popular media owner but has no content. Alibaba is the world’s most valuable retailer but has no inventory. Airbnb is the world’s biggest accommodation provider but has no real estate. This trend is highly disruptive, because it disorganizes and reinvents whole industries, in no time. The existing players (taxi drivers, hotels) have little time to adapt. It’s pretty clear, out of this chaos will emerge some order, and the chaos is actually creating value. But the implications are huge. A whole range of job skills will disappear. New patterns of markets and ownership will emerge. For now, chaos is the new world order. How are YOU adjusting and adapting? Do you have a job skill that will be needed in a year or two, or do you need to reinvent yourself and your skills? If so, how will you do it? 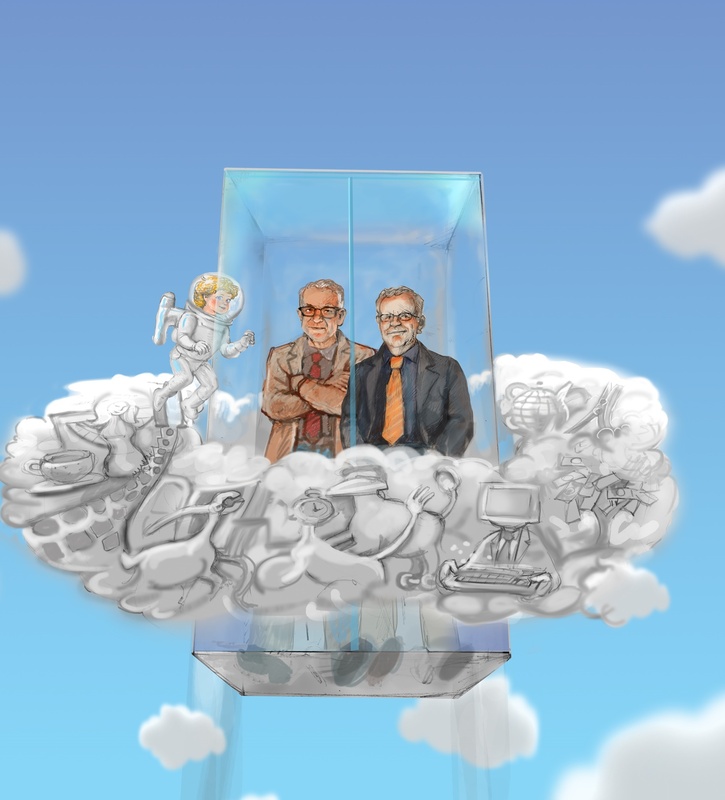 Thanks to my outstanding colleagues at Technion’s Center for Improvement of Teaching and Learning, our MOOC (massive open online course), Cracking the Creativity Code: Part One – Discovering Ideas, launched on the Coursera website on May 18, and has over 6,000 students enrolled, worldwide, from Qatar, India, China, Iran, Iraq and Saudi Arabia, among others. The course is based in part on the book by the same name by Ruttenberg & Maital. Part of the course involves “chat” forums, organized as ‘forums’ on topics the students themselves initiate. How many teachers encourage questions? How many shut them off, destroying the spirit of inquiry and love of learning? Are teacher training schools helping teachers encourage students’ questions, rather than shutting them off? Javier writes about how his teacher, in Barcelona, requires the students to copy verbatim a short story. He tried an experiment – writing with his eyes closed, to see if he could write straight lines without looking. The teacher ridiculed him before the class. End of experiment. Could the teacher have responded: Class! Javier is trying to write with his eyes closed. Let’s all try it. Let’s see what happens. Javier, thank you for this interesting idea.! There are millions of superb, dedicated teachers all over the world, educating the next generation, overworked, underpaid, underappreciated. But there are still too many to believe they should be teaching the laws of algebra, rather than (in addition) why mathematics is interesting and fun to explore. The Nobel Laureate in Physics Isidore Rabi tells this story: When he came home from school, his mother never asked him, what did you learn today in school? Instead she asked, Isador, did you ask good questions in class today? He attributes his success as a scientist to his mother and to her question. How many Nobel Prizes are we destroying, by shutting off kids’ questions? Arab culture is highly entrepreneurial. Given the right opportunities, Arab entrepreneurs could transform the Arab world, shifting Western attention from ISIS and its vicious violence to IS (Innovation Startups). Here is an example (thanks to Sharona, my wife, who drew my attention to this story). ADHD attention deficit hyperactivity disorder is widely treated with a drug, Ritalin. Novartis sells $350 m. worth of methylphenidate (Ritalin) each quarter. When kids have problems in school, it’s super easy for teachers to demand that they pop a pill – even if the problems could be addressed differently, with a little effort. In general, our pop-a-pill society plays into the hands of Big Pharma, and sometimes does immense harm to us all. Ritalin is now used widely as a recreational drug, too. For Big Pharma, it’s all just money. NASA developed a computer-based technique to improve attention, focus and learning. 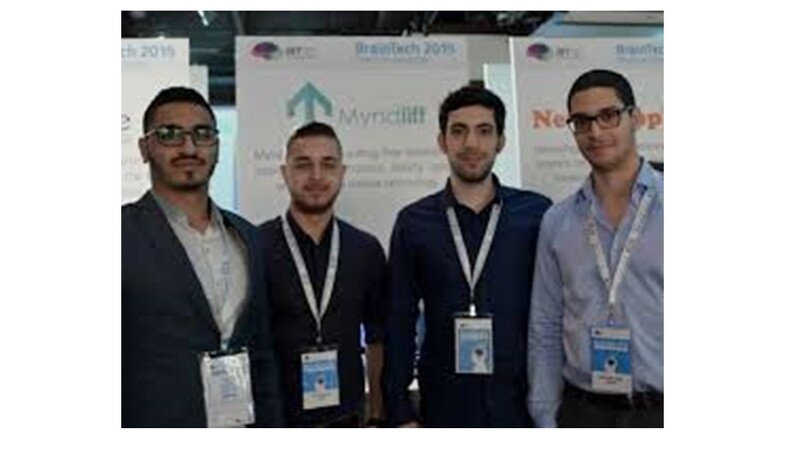 Now, Aziz Kaddan, age 22, an Israeli Arab, and three friends have launched a startup, Myndlift, that uses biofeedback to deal with ADHD. It’s an app-based wearable solution, together with mobile games that work only through attention, and boost attention levels with only 10 minutes of play time a day. Kaddan is the son of a neurologist, and got a computer science degree at the age of 19. Friends urged Kaddan to up the price of his app (it’s only $15 for the premium version), but he and the founders believe that to keep this solution accessible, it has to be quite cheap. (Big Pharma – don’t you just love it?). Over the years, I’ve taught many students with ADHD. Most of them avoided Ritalin, and instead developed their own personal unique ways to focus and deal with their challenges. Sometimes, the ADHD was even a blessing, because it appears that those with ADHD happen to be very creative. Next time you have a problem, and someone tells you to pop a pill, think about it for a while. Sometimes you really do need that pill. Sometimes, you can manage better without it. Thanks to Aziz and his friends for showing us another way, other than pill popping. I hope their story will inspire other Israeli Arab entrepreneurs. Cool Idea? What ELSE Can You Do With It? In my previous blog, I wrote about how entrepreneur John Osher invented a lollipop that spins in your mouth, created a huge hit, and then, tireless, asked, what else can I do with a cheap tiny electric motor that spins things? His answer was: an inexpensive electric toothbrush. Result: a half billion dollar (acquisition by P&G). Here is another example. Elon Musk succeeded against all odds in building and selling Tesla electric cars. His cars are cool, beautiful, fast, expensive, green and in demand. They are not hybrids. They run solely on electric power. The core technology is the rechargeable electric car battery. Like Osher, Musk asked, what else can I do with what I know about batteries that store electricity? Answer – build batteries that can store solar power, so that at night, when the sun doesn’t shine, you can still have power. Storage is a crucial element to the success of solar power, because people consume electricity not only in daylight but also at night. And so far, the storage element is missing. According to Diane Cardwell, (New York Times, Sunday May 2-3), Tesla Motors is initiating a “fleet of battery systems aimed at homeowners, businesses and utilities”. One of the products will be a lithium ion rechargeable battery pack, four feet by three feet, that can be mounted on a home garage wall. The battery will be called the Powerwall, and will sell for $3,500. It was derived from the car batteries that power the Model S vehicles. The proposed batteries will be connected to the Internet and can be managed by Tesla from afar. The key to this idea? 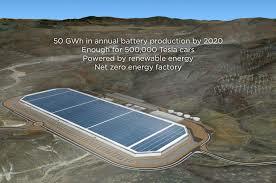 Tesla is building a $5 billion battery production plant, called the Gigafactory, in Reno, Nevada. (See photo). This story reminds me of the 9-word capsule description of successful entrepreneurship. First to imagine. (Musk did). First to move. (Musk did). And first to scale. (Musk is). And, add to that – first to platform (take one good product and transform it into another).